We all do it: start brainstorming Halloween costumes sometime in August, spend more time than we’d like to admit scrolling through the infinite Pinterest jungle, and silently promise that this will be the year you make the best DIY costume your friends have ever seen.... And then it's the day before Halloween, there are feathers everywhere, shards of fabric all over your living room, and you have no idea what to do for a costume. Don't panic. These last minute Halloween costumes sure to impress. Related: Don't sweat it. Last minute Halloween costumes are easy to put together. It doesn’t take much to pull off this crafty costume. All you need is some scrapbook paper or card stock, a few basic craft supplies, a headband, and some hot glue to create this super cute costume. Dress it up with a little black dress for an evening celebration. 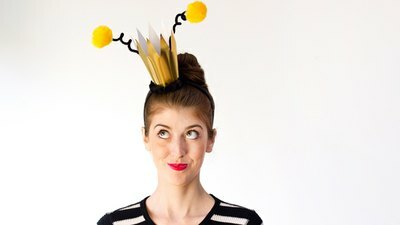 Related: Make your own queen bee costume. Probably one of the easiest characters to imitate, the Brawny Man costume requires only a red plaid shirt, some blue jeans, and a knowing smirk. 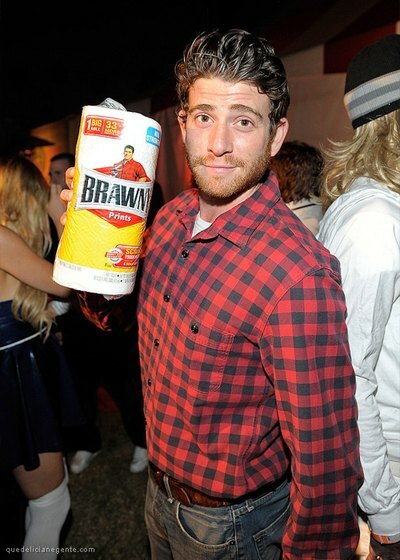 Gel back your hair and stop by a convenience store to pick up a roll of Brawny towels to carry along. Related: You only need a plaid shirt and roll of paper towels for this DIY. For this easy gypsy costume all you need is a maxi skirt or dress, a scarf to tie around your waste and head, and lots of jewelry. The more mismatched and colorful you are the better, so don’t be afraid to bring out those worn-once-and-never-again scarves that have been in hiding for so long. 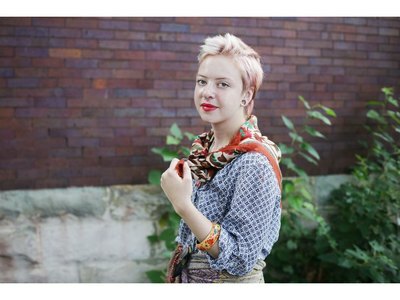 Related: Toss on a few scarves for an instant gypsy look. Take a screenshot of a recent Instagram picture and print out an enlarged image at your local printing store. Glue it to some cardboard, cut out the center, and voilà--you’re a selfie! Be prepared to make ridiculous faces all day for pictures. Related: Turn into a selfie with this tutorial. Turn your favorite denim shirt into your Halloween costume by adding a red bandana, some statement red lipstick, and high wasted pants. Cuff the shirt above your elbow and get ready to flex. 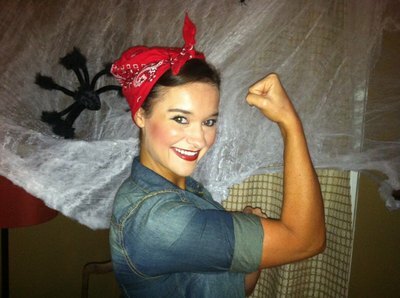 Related: Show off your arms with this homemade costume. An oldie but goodie, this costume is cute, comfortable, and good for all ages. 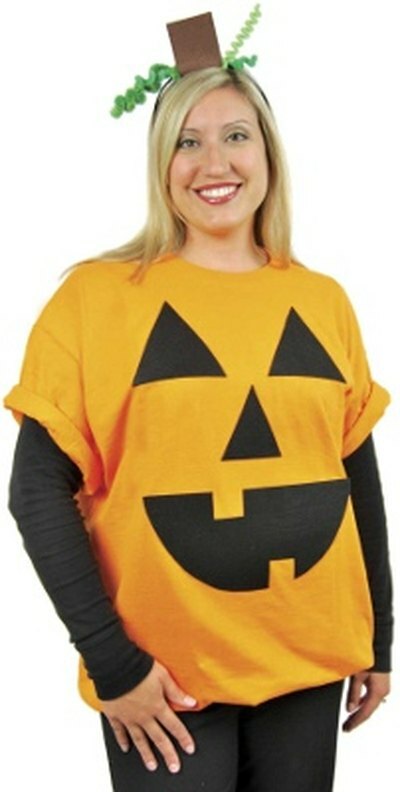 Take an orange shirt and lightly trace a jack-o-lantern face on the fabric. Cut out the shapes and wear it over a tight black shirt and leggings (or dark pants). To make a more rounded pumpkin, cut the back of the orange shirt and place bean-sacks or a small pillow around your waste, and then synch the shirt tight behind you. 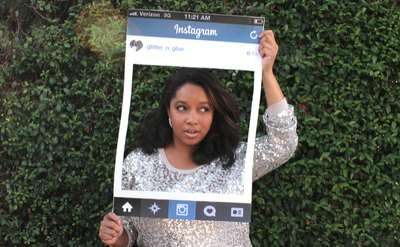 Related: Dress into the Halloween spirit with this DIY. Creepers! Did you know you could transform any pair of brown pants into Shaggy’s infamous bell-bottoms? Couple this with a light green T-shirt and let your hair down for a groovy homage to Scooby-Doo costume. Like, no way man. Related: Make a Shaggy costume using this how-to. 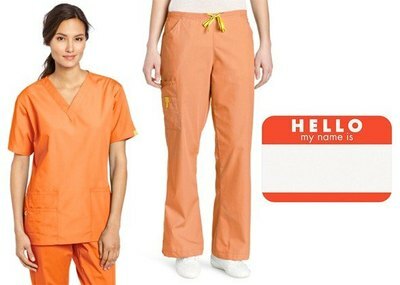 You really only need orange scrubs, a white undershirt, and a basic name tag to create this Piper Kerman look from the show Orange is the New Black. Throw your hair into a pony tail for the most low maintenance (and comfortable) costume you've ever made. Related: Turn your scrubs into a Halloween costume. With a pair of black pants and some black fabric, you have everything you need to make yourself into the mysterious Zorro. Add a red sash as a headband and use eyeliner to add his token black mustache for a dramatic addition. Add a costume sword and stealthy smirk for some extra swag. Related: Become the mysterious Zorro using this easy how-to. 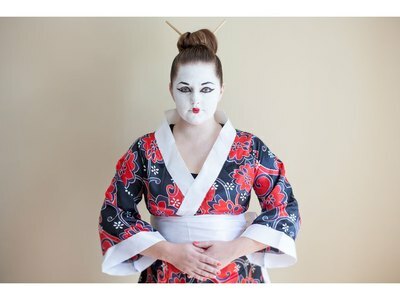 If you want to have the most comfortable Halloween ever, pick out your favorite silk robe (bonus points for a flowered design) and cover your face with white makeup to turn yourself in to a geisha. The best part of this costume? You get to wear socks with flip flops. Related: Make a cozy costume with these ideas.